Dash it all! It's open season on cheaters and Captain Biggar is loading his rifle to shoot one. 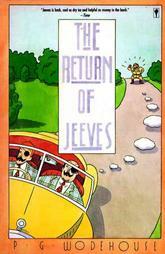 The ninth Earl of Rowcester, also known as Bill, has a certain Jeeves temporarily in his employment. At the racetrack Bill, posing as a bookie, has run off with Captain Biggar's generous winnings and retreated to Rowcester Abbey. 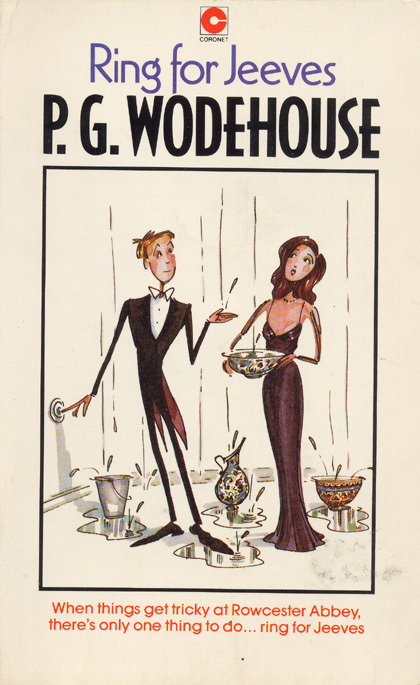 There he encounters his old amour, the very rich and beautiful Mrs Spottsworth, who is considering buying the property. 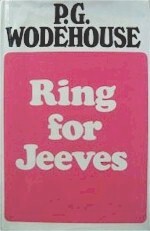 She is hotfoot from a chance encounter with Captain Biggar and romance is in the air... Time to ring for Jeeves. Rosalinda Banks Bessemer Spottsworth — Wealthy American widow interested in psychical research. Wants to buy Bill's home and is in love with Capt. Biggar. 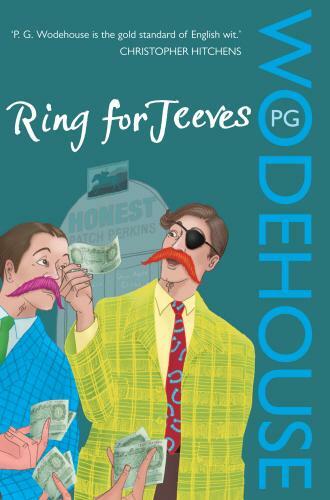 Captain Cuthbert Gervase Brabazon-Biggar — White hunter who loves Rosalinda, steals her necklace and returns it. Won a large amount of money from Bill disguised as a bookie who can't pay off. (Bill) William Egerton Bamfylde Ossingham Belfry, 9th Earl of Rowcester — Poor but amiable peer who is engaged to Jill. 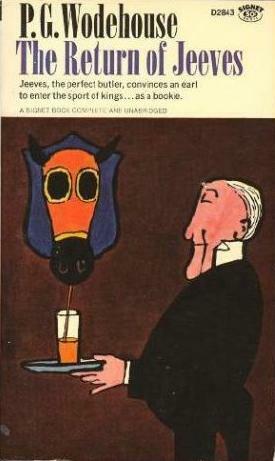 Has a bookie business under the name of Honest Patch Perkins. (Rory) Sir Roderick Carmoyle — Floorwalker at Harrige's. A jolly humbler who managed to say the wrong things. Jill Wyvern — Small, pretty, practical girl engaged to Bill. She is the local veterinarian and daughter of the Chief Constable of the county. Jealous of Mrs. Spottsworth and doesn't want Bill to play the horses. 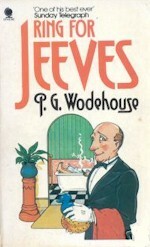 Jeeves — Bill's butler whilst Bertie is attending a school to learn the domestic sciences. Also acts as Bill's turfing clerk. 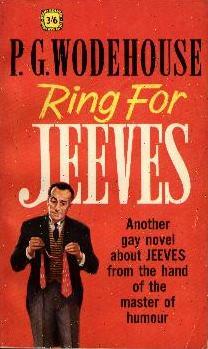 Guy Bolton 'borrowed' Jeeves from Wodehouse for a play. 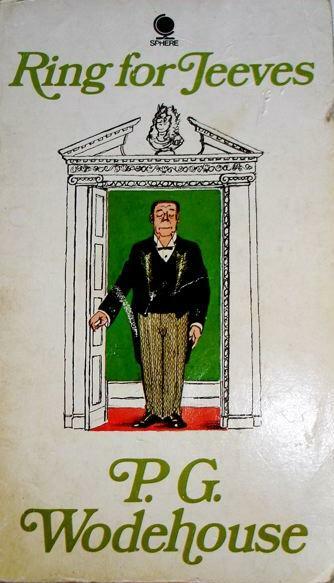 He is now a butler who helps his master, 9th Earl of Rowcester, make the money he badly needs for white elephant, leaky, 147-room stately home, Rowcester Abbey. 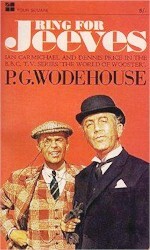 They set up as bookies - Honest Patch Perkins (Lord Rowcester disguised) and his clerk (Jeeves disguised). 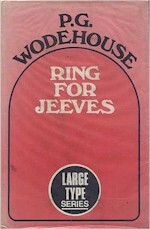 This is a novel shaped out of a play. 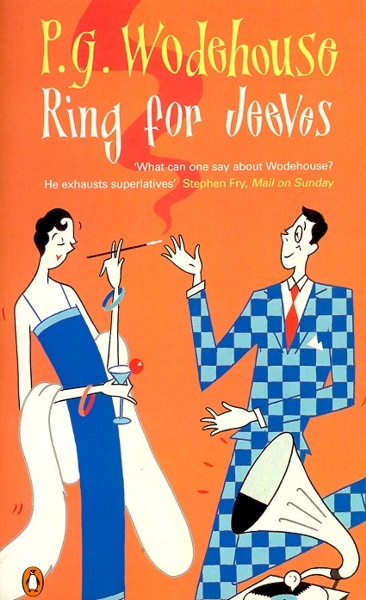 And Bertie Wooster is explained away as having gone off to a post-war school that teaches the aristocracy to fend for itself 'in case the social revolution sets in with even greater severity'. The bookie firm is in trouble and has to welsh over a flukey double pulled off (£3,005 2s 6d) by Captain Biggar, white hunter, in love with Mrs Rosie Spottsworth, widow of two multi-millionaire Americans. (But she is nice. She had written vers libre in Greenwich Village before she started marrying millionaires.) 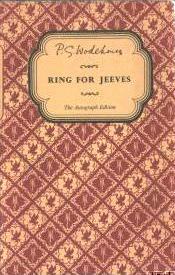 Biggar's code says 'A poor man mustn't make advances to a rich lady' but he ends up satisfactorily engaged to marry Rosie. Bill (9th Earl) Rowcester will marry small, pretty Jill Wyvern, freckled, local vet, ex-hockey outside right. 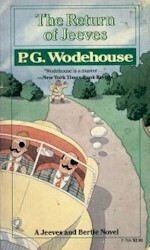 Her father is Chief Constable of Southmoltonshire. Bill sells the Abbey to Mrs Spottsworth who, not liking its dampness, will have it transported brick by brick and rebuilt in California, to dry out at last. 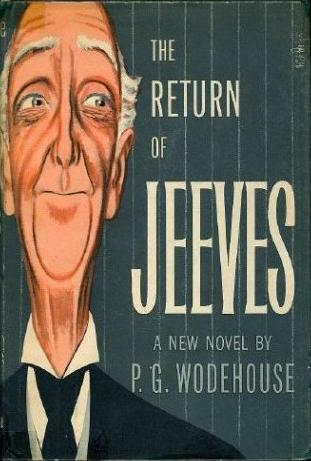 There is something badly wrong, in print anyway, about Jeeves as a butler, in disguise, acting as a bookie's clerk and hamming it up. He overdoes the quotation thing ... Pliny the Younger, The Psalms, Whittier, Kipling, Omar, Tennyson, Shakespeare (eighteen times), Maugham, Marcus Aurelius, Milton, Byron, Congreve and (slightly inaccurately) Montrose. Languages: 'fons et origo mali', 'ne quid nimis', 'rem acu tetigisti', 'retiarius'. And French 'faute de mieux'. It is odd that this should ring so false. But it does.